Have you ever been faced with the dilemma I recently found myself facing. What in the heck and I going to do with all of these apples! We stopped at our local and favorite apple orchard over the weekend and we bought way to many apples. I thought of making apple pie filling again but I decided not too. I settled on making some applesauce. 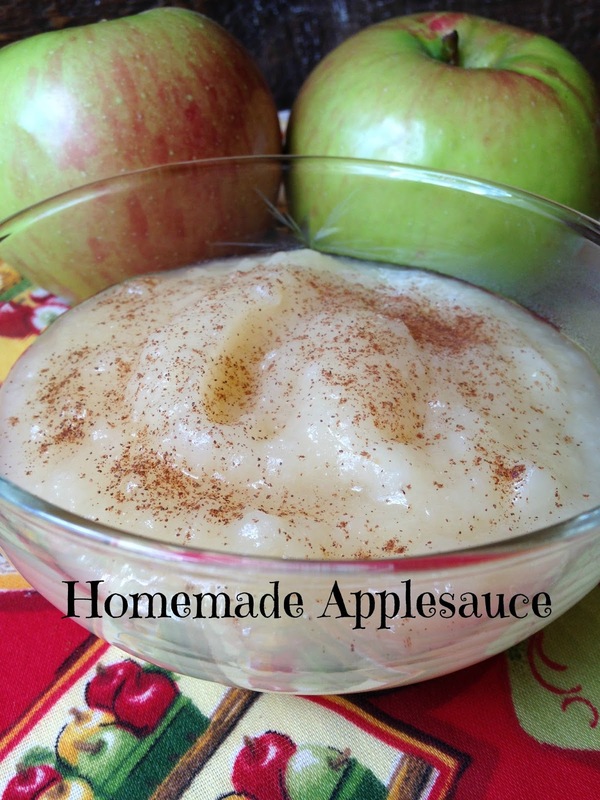 We love applesauce and when I make my own I can add as much or as little sweetener as I like. 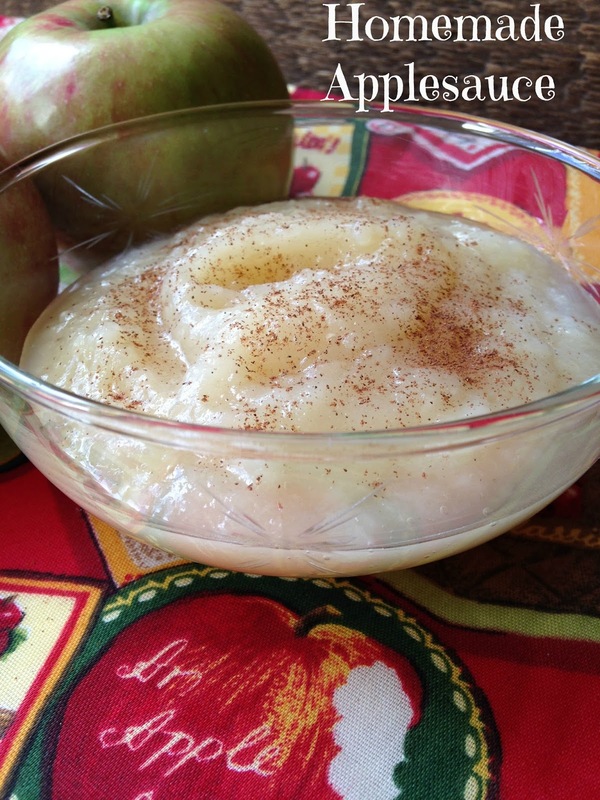 Making your own applesauce is really very easy, in fact it’s down right simple. Peel, simmer and mash. That’s about it! Peel as many apples as you’d like, I like to use several different kinds of apples. Simmer apples with a pinch of salt and a splash or two of apple cider over medium-low heat until apples are fork tender. This will take an hour or so. Remove from heat, using an immersion blender, mash apples until smooth. Pour into clean, sterilized glass jars. Cool. Store in the refrigerator. 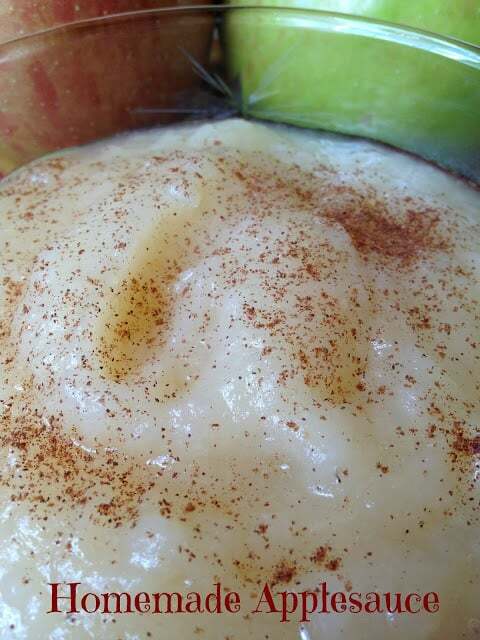 Homemade Applesauce is so much more tastier than store-bought. It contains little to no added sugar, the texture of homemade applesauce is creamier and is much thicker than the jarred variety. Applesauce is perfect served with pork chops or pork tenderloin, eaten for breakfast with a sprinkling of ground cinnamon or used in baked goods as a replacement for the oil/fat called for in the recipe. 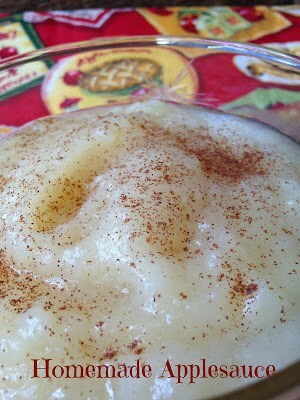 When making applesauce, I like to throw in a few peeled pears if I have them. Place all ingredients in a medium saucepan, except cinnamon. Bring to a boil, reduce heat to simmer and cover. Simmer apples, 20 minutes or until apples are fork tender. Remove from heat and mash apples using a potato masher or immersion blender. Stir in ground cinnamon and serve.